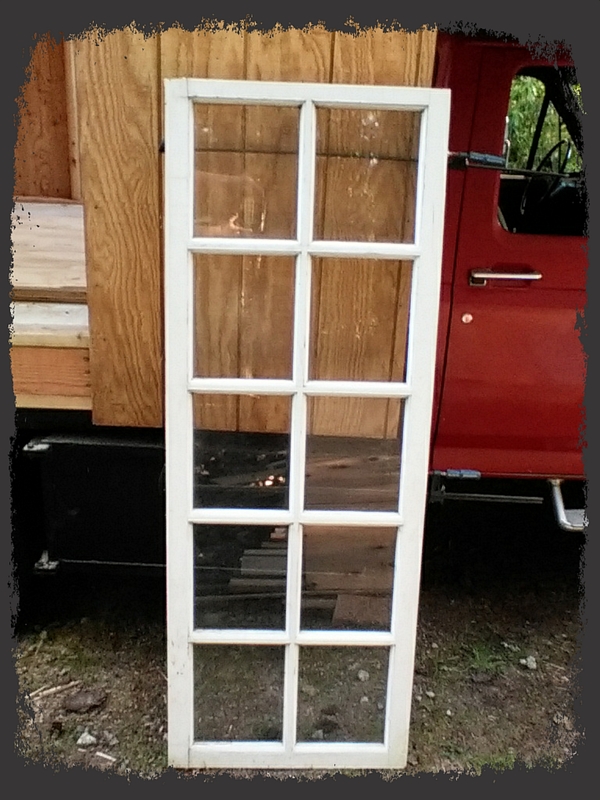 I’m working on the reclaimed windows, sanding them down, making repairs to ensure the glass is in there securely, and stripping the multiple layers of paint off in preparation of painting them. It’s a task that’s needed to be done, and I’d rather do it outside anyway. The stripper I have is supposedly OK to use indoors, but fresh air is always better, in my opinion. 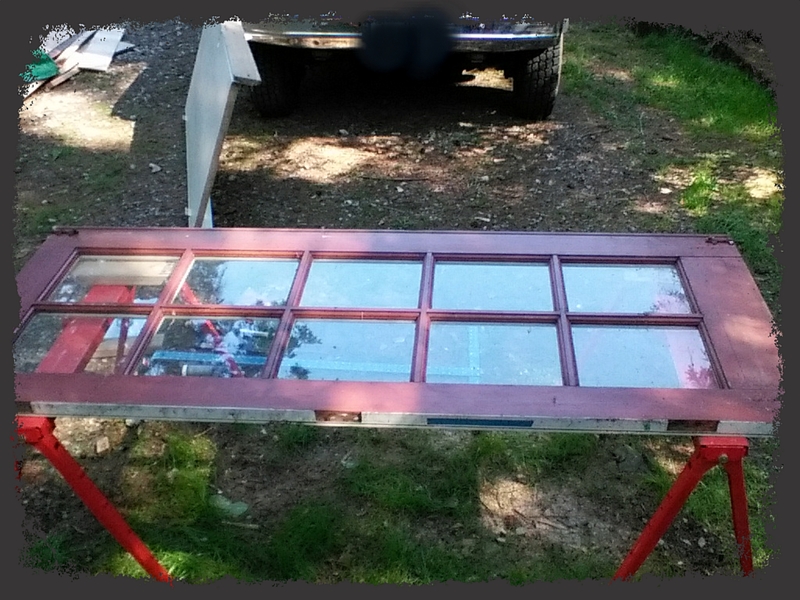 And, until the last battery gives out, I’m slowly (oh, so slowly) cutting down the french doors into windows. Yep! If I’m able to keep my original Tiny House on the trailer, I’ll just buy another set. For now, I have a plan for this set, which I’m not going to share yet, in case it’s a disaster. I can only take so much public humiliation, you know? Either the wood is really solid and heavy, or the single surviving battery really is dying, as it’s taking forever to cut, and the battery is only lasting a few minutes of laborious work, plus is getting really hot. I might have an electric circular saw around here somewhere…I’ll have to look tomorrow. I have an electric drill for sure. Gosh I hope the battery lasts for a few more days, until the new ones come. So that’s it. Enjoying the weather, and making the best use of it that I can. I’m staying out of bed, feeling pretty OK with life right now, and other than a very sore hand, getting over the scooter crash in good time. Life is not too bad! UPDATE: This morning, I was gathering my tools together, and my last battery has died. Sure hope I can find that circular saw I thought I saw somewhere…. Here’s the first french door to be cut down. Being old doors, the wood is loose already, so I’ll need to tighten things up. The other door has a broken pane and I’ll deal with that after cutting it down, as it will be much easier to get the glass out then. And here it is after being cut down and glued with Liquid Nails. You can see the two clamps pulling it tight together while the glue dries. Then I’ll strip the paint off and reseal the glazing to make sure it stays put. I like the proportions! I like the French door window. It looks very nice. Good job.